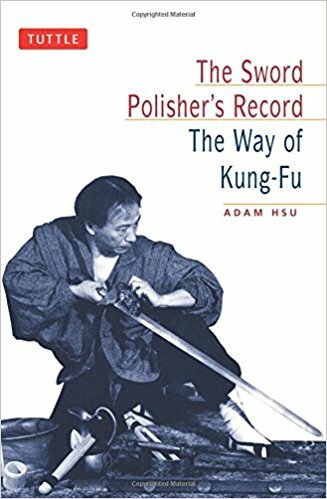 The Sword Polisher’s Record: The Way of Kung Fu by Adam Hsu, is a very insightful book about the history and art of kung fu. “Kung Fu” actually means time and hard work. Training is thorough and challenging and tests the patience of most students. It is a very beautiful and graceful. It has also survived through thousands of years of sweeping change which proves how enduring kung fu is. I find it amusing how Hsu describes Kung Fu and how beautiful it is and then look at our class and think about all the practice and disciple we need to master this “art”. Kung fu, to Hsu, is the most difficult excellent form of exercise that can prevent illness, create a better life and longevity. Hsu says that there are two parts to kung fu: Yun and Dong. Dong is movement, action, and mobility. However, you can’t have Dong without Yun. Yun is internal, meaning breathing, circulation, and focus. The standard national Chinese wushu skips the Yun and it is described as Chinese Ballet. You can’t have one without the other. You need the outward and the inward which looks at your body and soul. Yun and Dong work together simultaneously, not against each other. also contains Yang and Yang contains some Yin. The movements in Kung Fu contain aspects of Yin and Yang. The moves start close to the body (the Yin) and move outward (the Yang). The moves are all continues, going back and forth towards and away from the body. There are many building blocks to Kung Fu. Horse Stance builds a very strong foundation. Empty legs stance is the starting point for all kicks. Kicks do not need the arms for balance and the entire body finishes moving at the same time. Both fists hit the target and the punches come from the spine. You must manage different parts of your body simultaneous and not on a specific area. You most always keep breathing. Breathing is your energy and you should never hold it in. You should always breathe with your nose. The body is a single moving unit in Kung Fu. The strength of power starts at the ankles, moves up through the leg, into the hips, to the shoulder, and down the arm, to the fist. This is called Chan Si Jin, Reeling Silk Energy. Spiraling movements rather than straight ones. Forms are a great way of learning the movements of Kung Fu. Forms are a variety of connected movements with challenging transitions. Forms are a complete and necessary element of a complete kung fu education. 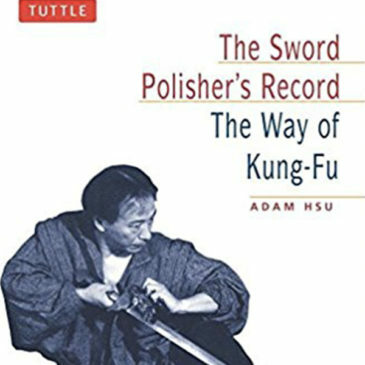 This was a really good book that taught me a lot about kung fu and the history and art of it. It was cool to read about all the aspects of kung fu: Yun and Dong, Yin and Yang, the building blocks, and body movement and at the same time perform those things in class.